When talking about Contract Furniture, let us not forget airport lounges: hospitality facilities that can be found in the main international airports sponsored by airline companies. The customers who are allowed access to the lounges are offered comfortable and exclusive areas provided with all services and amenities that one can desire in hectic places like airports. The very first airport lounge was realized in 1939 in La Guardia airport (New York, USA) by American Airlines as a promotional tool. Since then, the number of airport lounges has boomed: nowadays, the airline company with more lounges is British Airways – with more than 60 facilities all over the world – followed by China Southern Airlines and United Airlines – both offering around 50 lounges. Alitalia has only 9 “Casa Alitalia” lounges, plus all the facilities offered by the company’s partners. Lately, travelers have become increasingly more demanding. Therefore, airport lounges too have to be adjusted to the users’ needs and expectations. Clearly, not all lounges are equal. Some of them – more essential but still very much appreciated – offer basic services for travelers such as comfortable sittings, quiet and relaxing rooms, food corners, free internet access and media entertainment. Premium lounges, on the other side, focus more on customers’ wellness and offer all sorts of comfort such as hairdresser, fitness center, spa and even private bedrooms. 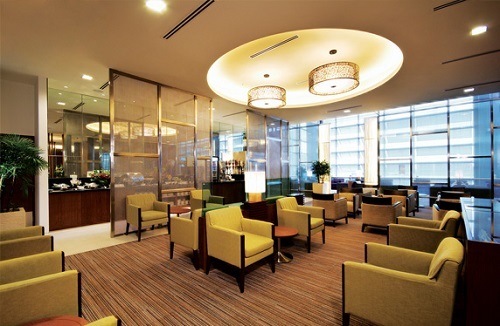 As businessmen are among the most frequent flyers, a special attention is given to business facilities: work stations, computers, high speed Wi-Fi, and even meeting rooms are often available in these lounges. The main national companies are basically competing against each other in order to show that they’re able to offer to their selected customers more exclusive services and experiences than their competitors as well as luxury environments with a modern and refined design. According to a performance ranking published by the British Company Skytrax, the airline company most appreciated by its customers for the comfort and the service quality is Emirates. Runner-up is Qatar Airways, followed by Singapore Airlines. 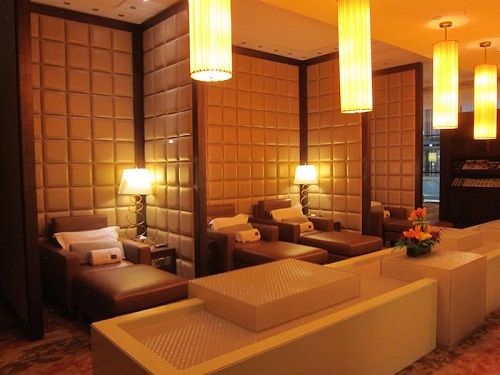 The luxury 650 square meters first class lounge offered by Emirates Airlines at the Dubai International Airport. The lounge has even won the Apex Passenger Choice Awards and it offers first class treats: wellness areas, shower spa and superior restaurants are just some of the available pleasantries. 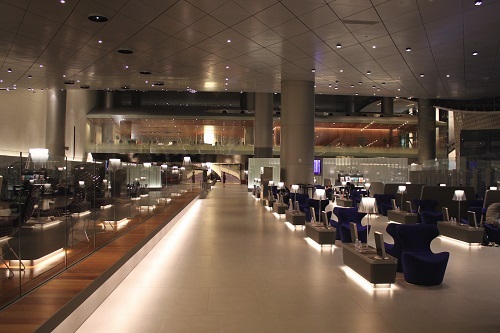 The Al Mourjan Business lounge realized by Qatar Airways at the Hamad International airport in Doha. 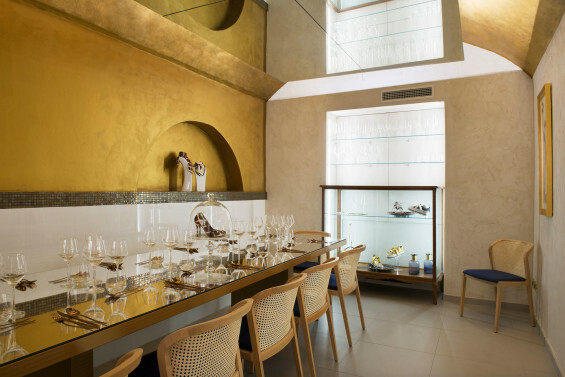 A 10,000 square meters area that combines traditional Middle-Eastern style and architecture elements with an elegant and contemporary design. Refined restaurants, wellness areas and business areas are just some of the services you can take advantage of in the lounge. The KrisFlyer Gold Lounge realized by Singapore Airlines at the Singapore airport: Singapore Airlines aims to offer to its customers a “home away from home”. A modern and elegant area which – through its style and furniture – succeeds in conveying the company’s values and identity together with the hospitality culture typical of the Southeast Asia. The lounge includes a refined restaurant as well as private and comfortable work stations. Alitalia – Italian main airline company – is also committed to offering to its passengers elegant, comfortable and familiar spaces. 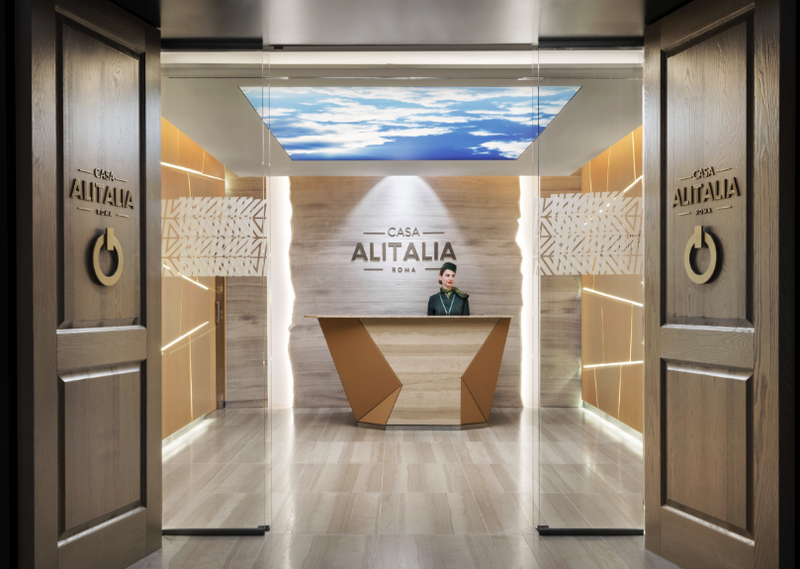 In collaboration with the design and architecture firm Studio Marco Piva, Alitalia has started the project Casa Alitalia. In these lounges the passengers can experience a true italian home – from the style to the food and wine. Professionals working in the hospitality industry – therefore – should keep in mind that cooperating with airlines for the construction or requalification of airport lounges could bring a lot of added value in terms of revenue. Indeed, to implement these high-profile and complex projects airline companies need to identify suppliers for all sorts of contract products and services. 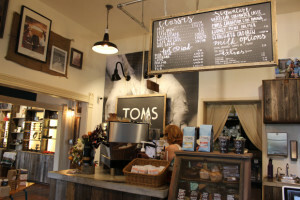 Not only – as one would think – sittings and food services, but all kind of indoor and outdoor furniture, bedding, gaming products, products for fitness centres and wellness, and much more. When hospitality meets businessmen the result is the growth of capsule hotels. The so-called capsule hotels are the new trend as regards hospitality for businessmen and travelers with little time and demands. The concept is quite simple: minimal solutions whose strengths are accessibility, cost-effectiveness, and the ability to satisfy basic needs such as a good sleep or a relaxing bath. Moreover, capsule hotels are usually built in strategic locations, such as airports or train stations. On the contrary, less importance is given to services, personalization and personal spaces: the traditional hotel room turns to a small prefab – usually a couple of meters wide – with modern, compact and functional design and furnishing. The very first capsule hotel – the Osaka Capsule Inn – was designed by the Japanese architect Kisho Kurokawa in 1979. Since the 1980s, this trend spread in the whole Asia and more recently it started to be a big success in Europe too. The first hotel chain offering capsule hotels in Europe has been Yotel, whose facilities – small in the dimension but luxury and appealing in the furnishing – can be found in London Gatwick, London Heathrow and Amsterdam Schiphol airports. If – for whatever reason – you’re stuck at the airport for awhile you don’t have to wait on uncomfortable and overcrowded chairs anymore: you can book a cabin just for a few hours and have your own bed just a few meters away from the check-in desk. When it comes to fashion and trends, Italy – of course – doesn’t want to be left behind. 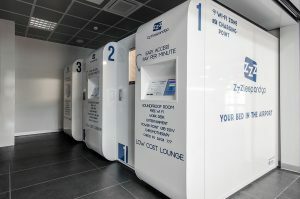 And that’s why capsule hotels have recently landed in Italy too with zzzleepandgo: low-cost cabins with soundproof walls offering – in just few square meters – a single-bed, unlimited and fast wi-fi, an extractable work desk and even an alarm clock in sync with your flight departure time. All you need if you’ve an early morning flight or an unexpected layover and – on top of that – you’ve got a conference call or you need to check your e-mails. Of course there are people who stand out from the crowd and don’t want to give up to all the comforts and facilities offered by a traditional hotel room. These more demanding travelers choose instead the so-called compact hotels: cheaper than traditional solutions but more comfortable than capsule hotels, this type of accommodation offers almost all the quick services that a businessman may need in a business trip – when the time is short and the tasks are too many: fast check-in, fast wi-fi, express laundry and every other express service you can think about – besides, obviously, a comfortable bed and all the other necessities (source: business traveller, march 2016). The hospitality world is always seeking new and innovative solutions that could help the business in making a difference and emerging in such a competitive scenario. The emerging trend of capsule hotels and compact hotels certainly offer new opportunities for professionals operating in the contract and hospitality industry. Are you a contract professional wishing to learn more about the main tradeshows and events for your industry? Are you an architect or designer looking for an Italian qualified partner for your next projects? Are you interested in discovering the newest hospitality trends? Feel free to reach out to us e-mailing communication@ic4hd.com and follow us!